Thank you for visiting our webpage to learn more about who we are and how we can serve you. We specialize in providing you, our builders and customers, with excellence in the Natural, LP Gas Piping, and LP Tank Installations. 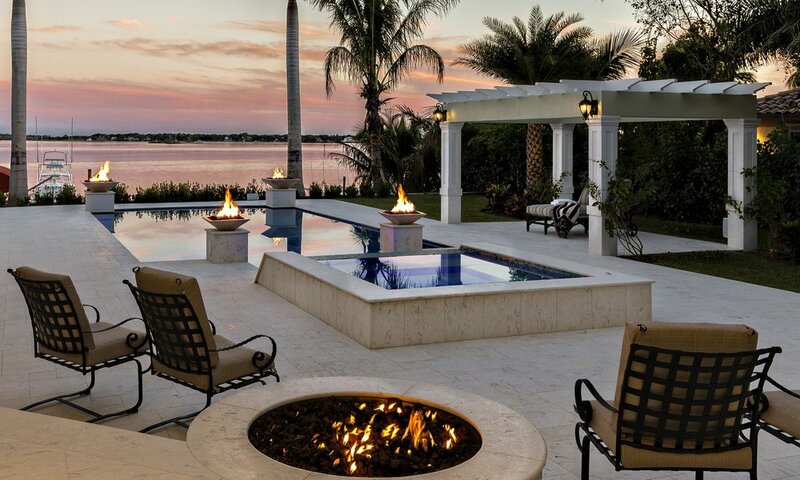 We also have a diversified line of gas services that go well beyond and include - Outdoor Kitchens, Gas Grills, Pellet Grills, Kamado Grills, Fireplaces, Log Sets, Fire Pits, Tiki Torches, Fire Bowls, and Gas Lights. Whether your needs are for residential, or commercial, new construction, or remodel we can provide you with a smooth transition through the gas installation process including: Planning, Proposal, Permit, Installation, Revisions, and Inspections. We are a full service gas piping contractor that offers services to builders and both commercial and residential clients in Martin, Palm Beach, St. Lucie, Indian River, Broward, and Okeechobee Counties. Our builders' and customers' satisfaction is our greatest recognition. Find out what some of our builders and customers have to say about our gas services.